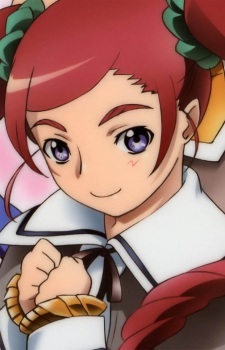 Raquel Mayol is a Meister Otome contracted to Sister Shion. Both of them are from Earu Church, who helps the needy people. Meister Raquel is also classmates with Lena Sayers & Elliot Chandler when they were students of Galderobe, a school that trains Otome. She wears a pink GEM called Bound Dragons Rhodonite (拘龍の薔薇輝石 Kōryū no Barakiseki).